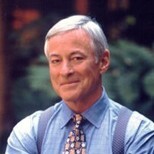 Brian Tracy is an authority on the development of human potential and personal effectiveness. He is chairman and CEO of Brian Tracy International, a company specializing in the training and development of individuals and organizations. Brian addresses more than 250,000 people each year, to audiences as large as 20,000 people. Brian speaks to corporate and public audiences on personal and professional development, discussing such topics as leadership, selling, and self-esteem. He is also a best-selling author. Brian has written more than 30 books, including Eat That Frog! and Goals!, and has written and produced more than 300 audio and video learning programs like The Psychology of Achievement, which has been translated into more than 20 languages. If you’re interested in partnering with Brian Tracy through his Affiliate Program, and/or would like to earn commissions promoting Brian Tracy programs, you can get more information and sign-up here. • "All successful men and women are big dreamers. They imagine what their future could be, ideal in every respect, and then they work every day toward their distant vision, that goal or purpose." • "Successful people are always looking for opportunities to help others. Unsuccessful people are always asking, "What's in it for me?"." • "Your incredible brain can take you from rags to riches, from loneliness to popularity, and from depression to happiness and joy -- if you use it properly." • "Personal development is your springboard to personal excellence. On-going, continuous, nonstop personal development literally assures you that there is no limit to what you can accomplish." • "No one lives long enough to learn everything they need to learn starting from scratch. To be successful, we absolutely, positively have to find people who have already paid the price to learn the things that we need to learn to achieve our goals." • "You cannot control what happens to you, but you can control your attitude toward what happens to you, and in that, you will be mastering change rather than allowing it to master you." When I was a full-time sales rep for Hewlett Packard, I remember hearing Brian Tracy’s program, "The Psychology of Selling", and it provided me with great information in the early part of my career. Years later I came across "The Psychology of Achievement". After listening to the first few tapes in the series, I became a true Brian Tracy fan. If you are a salesperson, start with "The Psychology of Selling". If you are not, I would recommend that you start with "The Psychology of Achievement", which has sold over one million copies. It is a six-cassette or six-CD audio program with information covering a variety of areas, including effective time management and how to eliminate worry. The program will show you how to build your self-esteem, set goals, reprogram your mind for success, and unlock your mental powers. I see Brian as the consummate business professional, always thinking, always planning, and always ready to capitalize on new opportunities. When he speaks, he brings a lot of personal experience and personal success to the table. If you prefer to read what Brian has to say, I would suggest starting with one of his newer books, like Goals: How to Get Everything You Want -- Faster Than You Ever Thought Possible.